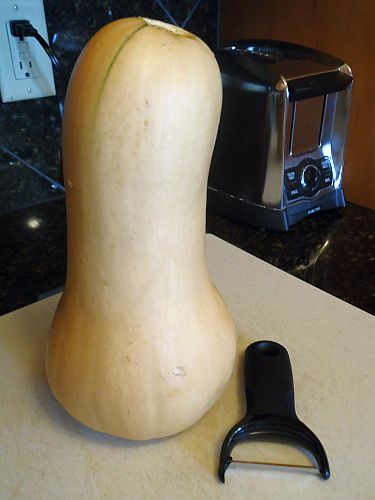 After finishing off the last of the spaghetti squash, I decided to tackle the butternut squash that you can see lurking there in the background. Weighing in at over 5lbs, it was an impressive specimen! 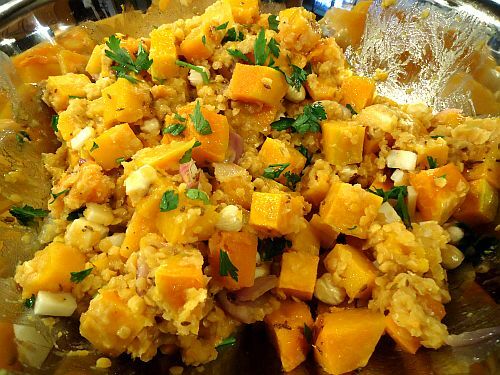 I’ve always liked butternut squash (despite the lack of recipes featuring it on this blog! ), and I frequently use it in any recipe that calls for pumpkin, since it’s often more readily available than pie pumpkins. This time, though, I wanted to do something a bit different. Inspired by Smitten Kitchen’s various squash salad applications (for example this or this), I decided to make up my own. I contemplated various beans and grains before deciding on using red lentils because a) we had some in the pantry and b) you don’t have to soak them overnight. Along with the squash and lentils, I decided to roast a few shallots that had been rolling around in the bottom of the fridge, and to top the whole thing off, I went with some feta, parsley, and toasted hazelnuts. Of course the feta turned out to be the wrong kind for crumbling, but since the salad was warm, I rather liked how it melted and mingled with the squash and lentils. So much for the main ingredients, but what about spices? Normally I probably would have gone with a bolder spice palette, and no doubt would have added a healthy dose of cayenne pepper (or even added some fresh cayenne peppers for that matter–we had quite the haul this year from our balcony garden!) but alas, since pregnancy has given me the gift of heartburn, I had to get a bit more creative with my flavors. In the end, I decided to roast the squash and shallots together with some whole cumin seeds and a bit of salt, and to cook the lentils with a cinnamon stick, bay leaf, and some black peppercorns, as well as a couple of tablespoons of tamari soy sauce (which is my favorite trick for imparting flavor to any sort of bean/grain/rice). I also created a simple vinaigrette with olive oil, rice vinegar, and tamari–the acid from the vinegar definitely brightened up the dish, although in retrospect a bit of lemon juice would have been very nice too. In the end, this dish turned out to be one of the best applications of butternut squash that I’ve ever made–it managed to be filling without being heavy, spiced without being spicy, and it was pretty easy to pull together with a fairly minimal amount of pre-planning. It also made enough to feed a small army, and the leftovers tasted just as good cold as warm. I think this dish is definitely going to be a permanent addition to the fall meal rotation. Preheat the oven to 350 degrees and spread out the hazelnuts on a parchment-lined sheet pan (the kind with edges so they don’t roll off!). Put them on the middle rack and toast for 8-12 minutes, giving them a good stir halfway through. You’ll be able to smell when they’re done–don’t burn them! 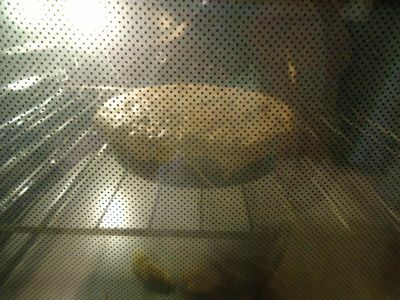 Remove the hazelnuts from the oven, and turn up the heat to 400 degrees in preparation for the squash. 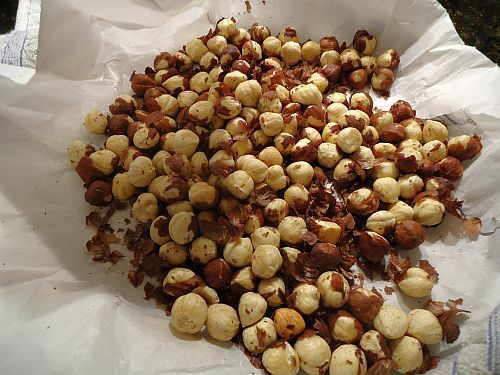 Allow the hazelnuts to cool for a bit. Then take the corners of the parchment and bring them together, creating a little package. Wrap the whole thing in a towel, and rub it around until the nuts are mostly peeled (they don’t need to be perfect). While the hazelnuts are toasting, peel your butternut squash, halve it lengthwise and scoop out the seeds, and then cut it up into 1-inch cubes. Peel the shallot(s) and cut into large chunks. 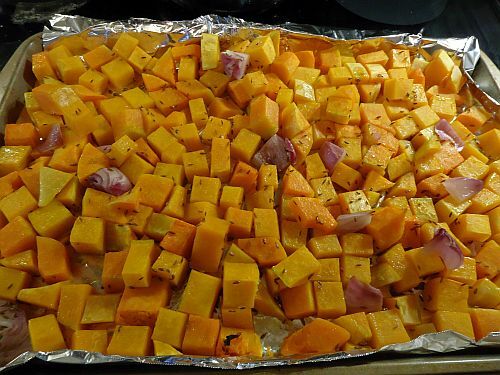 Line the sheet pan you used for the hazelnuts with aluminum foil, and spread out the squash and shallots in a single layer. 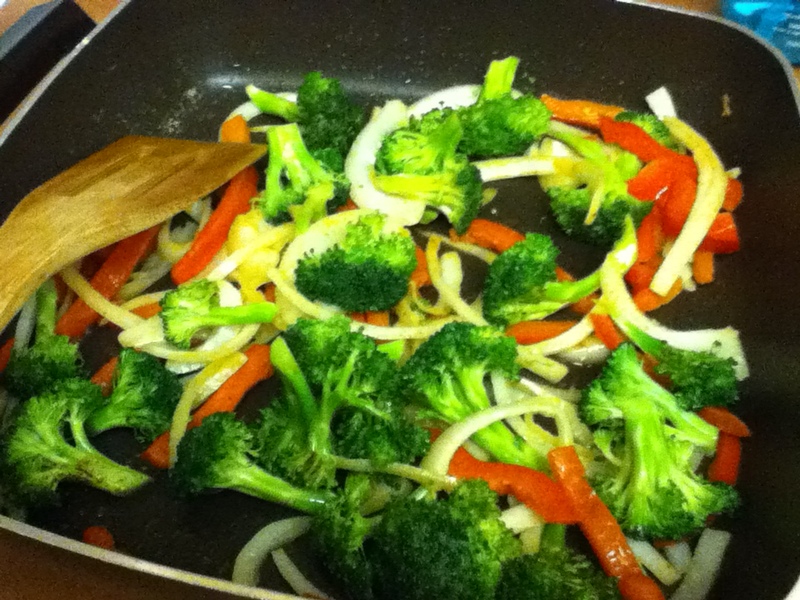 Drizzle the grapeseed oil over everything and then sprinkle on the cumin seeds and salt. Mix it all together with your hands, making sure that all the pieces of squash are coated in oil, spread them back out, and then put it in the oven (which should now be at 400) for 20-30 minutes or until the squash is fork tender but not disintegrating. 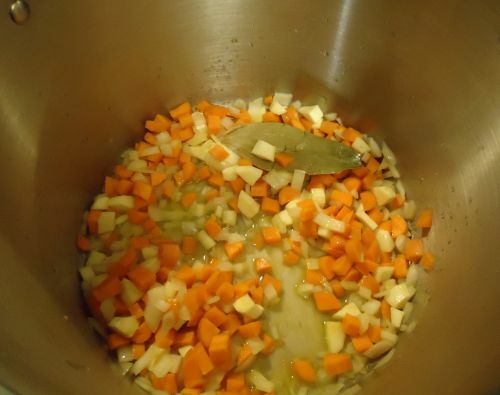 Once the squash is going, rinse and pick over your lentils and then add them to a pan with the water, tamari, cinnamon stick, bay leaf, and peppercorns. Give it a good stir and bring it to a boil. 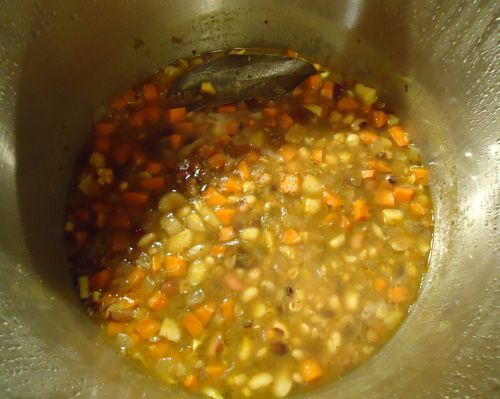 Then reduce the heat and simmer until the lentils are fully cooked–probably about 20 minutes. While the lentils and squash are cooking, whisk together all of the dressing ingredients in a small bowl. 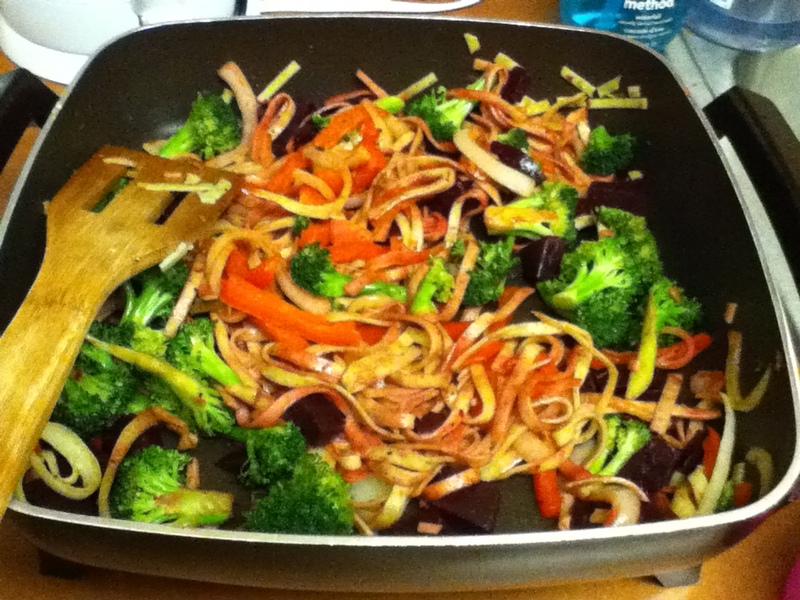 Taste, and adjust the ratio of vinegar/lemon juice to oil as needed. You may end up wanting to sprinkle a bit more lemon juice or vinegar over the finished salad if the acidic flavor gets lost in the squash and lentils. Once the lentils are done, drain off any excess water, and pull out the cinnamon stick, bay leaf, and (if you can find them) the peppercorns. (If you can’t find them, just chew carefully!) Put the lentils in a large serving bowl along with the squash and shallots. 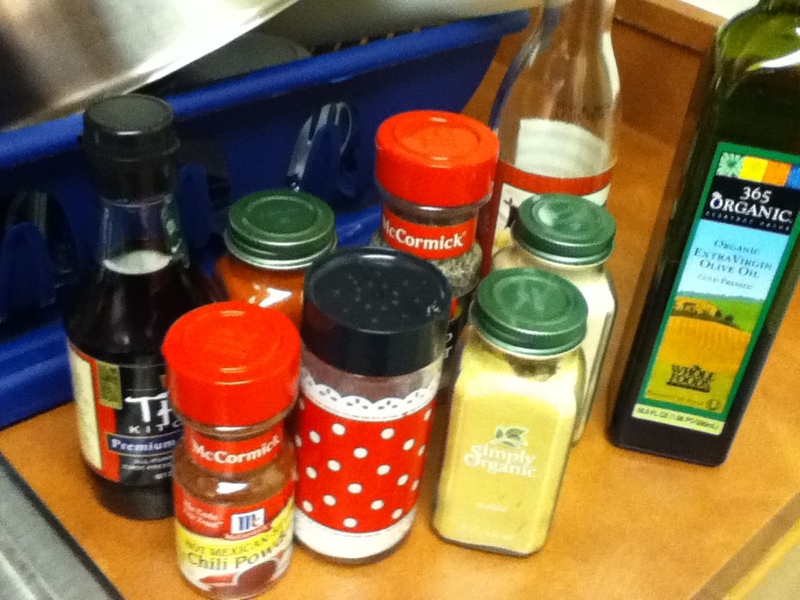 Mix them together, and then pour on the dressing and add the toppings. Give everything a good toss, add extra vinegar, lemon juice, or salt to taste, and serve immediately. I’ll admit it–I’ve been procrastinating on writing this post. Why? Because of the two people who tried this dish (me and my fiance) only one of us (me) liked it. 50% success rating? Not very good. But I liked it! So I’ve decided to post it anyways. Feel free to try it out, make your own tweaks, and tell me what you think. 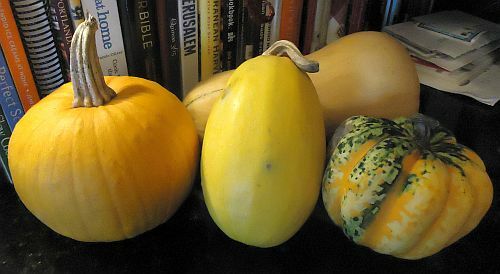 Yellow summer squash has a pretty delicate flavor, which makes it a good canvas for mixing with other, stronger flavors. I decided I wanted to try marinating it in a mix of spices, so I pulled out all the spices I thought would work well together, measured them into a bowl (amounts based on how it smelled), and then I chopped the squash into 1 inch(ish) cubes, tossed them in a ziploc bag, poured in just enough olive oil to coat them, and then added the spice mix. I sealed up the bag and tossed it around until all of the squash was well coated in spices and then I left it to sit while I got everything else ready. I put a pot of water on the stove to boil for making buckwheat, which I thought would make a good base for the spiced squash. You could also use rice, quinoa, couscous, or any other grain you wanted. Once that got going, I chopped up some baby red onions, and put my largest skillet on the stove to heat up. Once the skillet was good and hot (check this by dripping some water on it–if it sizzles and evaporates right away, it’s ready), I dropped in the squash. To get a bit of a flavor contrast with the savory spices of the squash, I also added about a third of a cup of dried sour cherries. 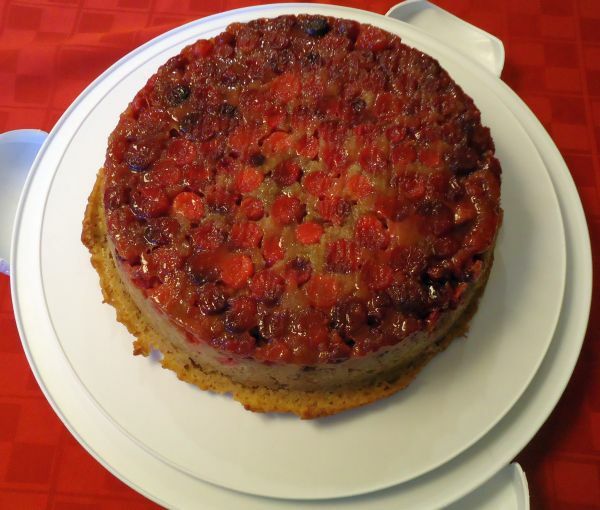 You could use any dried fruit, really, depending on what you’re going for, but I found that I really liked the sourness the cherries brought to this dish. After half a minute or so, I added in some white wine, because I had a bottle that was almost empty and it seemed like a good idea! It turned out to be an excellent idea except that I only had about a quarter cup left. If I were making this recipe again I would definitely use at least half a cup if not a bit more so that the wine flavor really gets in there. The cherries and the wine really pair well together. I let everything simmer down for several minutes, and then I added the onions and covered it so that the squash would cook through faster. (The buckwheat was almost done!) 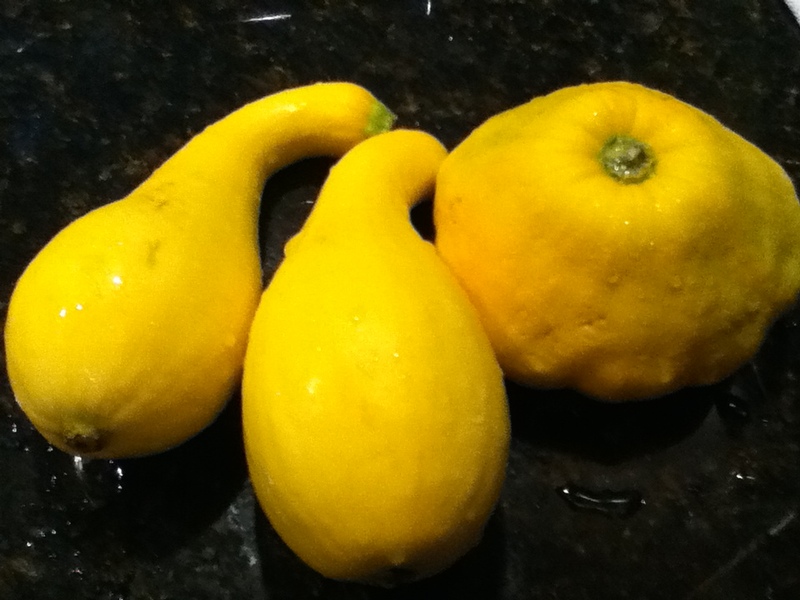 After simmering for about 20 minutes, the squash was tender and it was time to serve it up! I put a scoop of buckwheat on each plate, put a good-sized scoop of squash on top, plus a bit of the juice from the bottom of the pan. And that’s it! 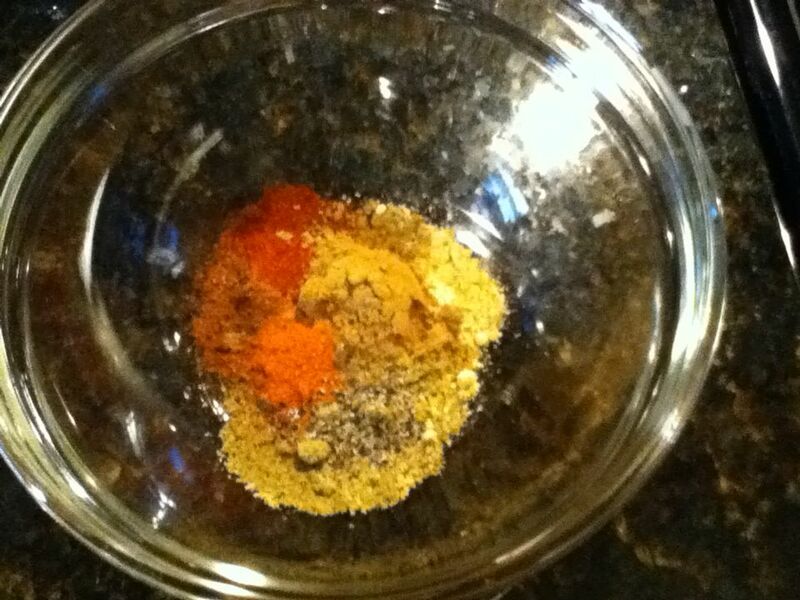 First, measure out your spices into a bowl and mix them together. Feel free to vary the amounts–it has a pretty good kick the way I made it. 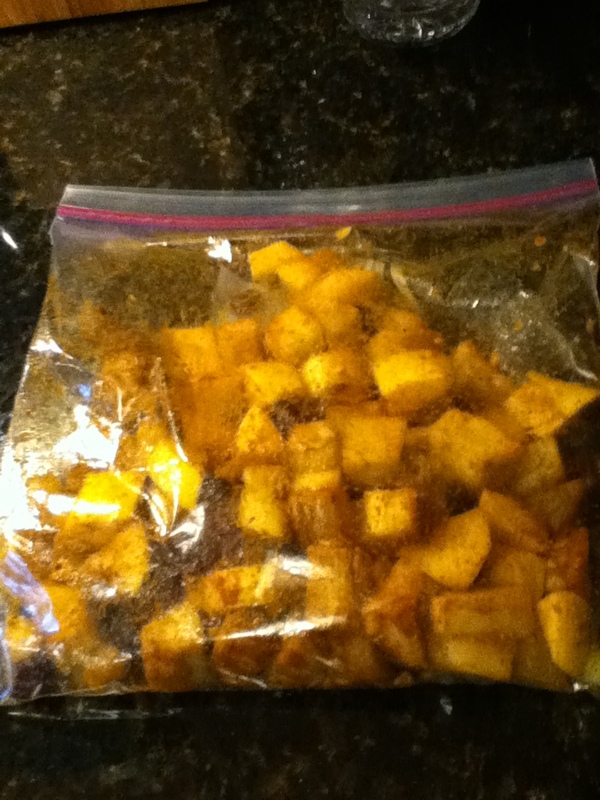 Chop your squash into approximately 1 inch cubes, then toss it in a ziploc bag with some olive oil and the spices. 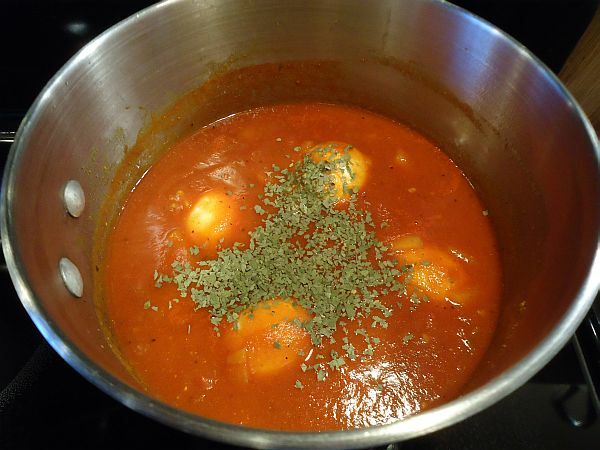 Make sure it’s fully coated with the spices, and then leave it to marinate for a bit. Put the water on to boil for the buckwheat/rice/whatever, and make it according to package instructions. Meanwhile, chop the onions, and put a large skillet on medium heat. 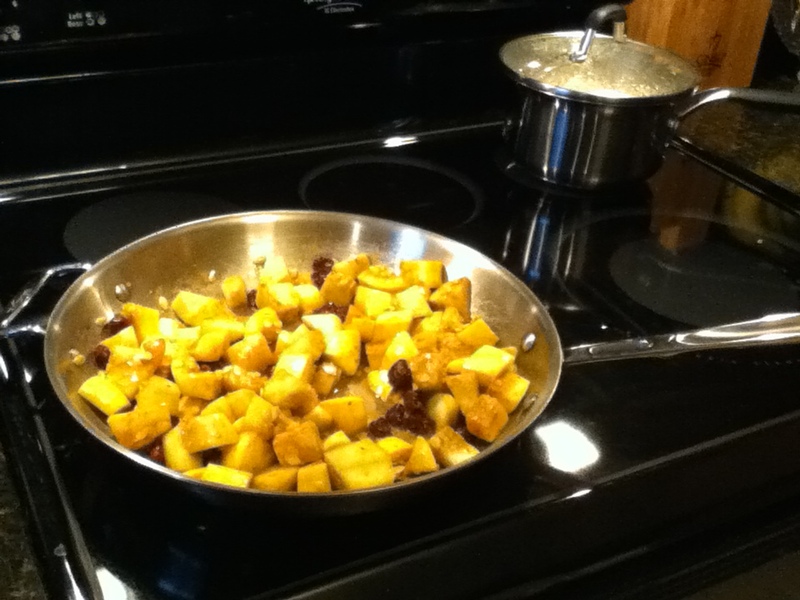 When the skillet is hot, add the squash and the cherries. Let it sizzle for half a minute to a minute, and then add the white wine. When it starts to reduce, add the onions and cover so that the squash cooks through. 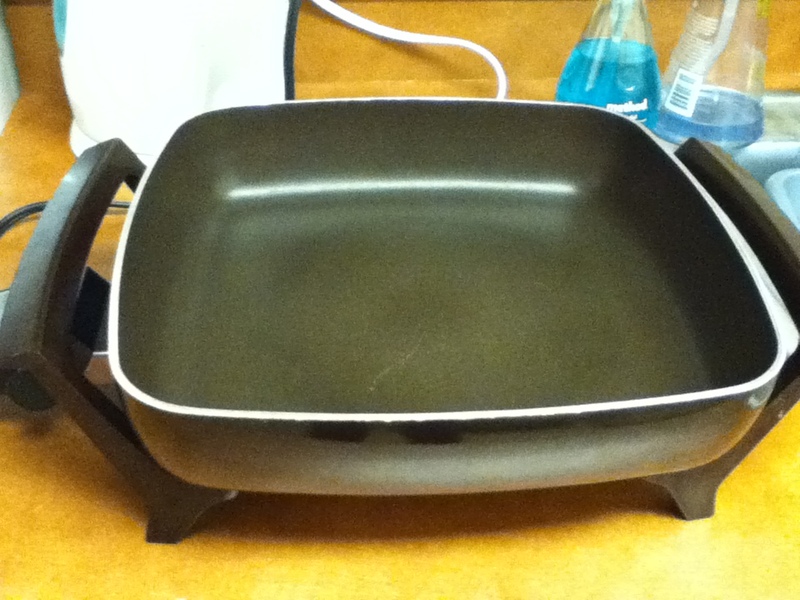 (If you don’t have a cover for your skillet, use aluminum foil). 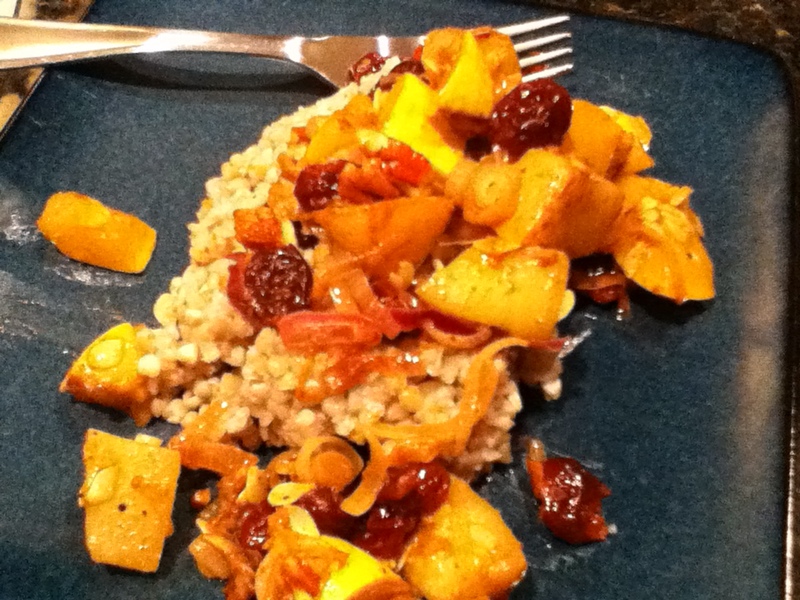 When the squash is tender, serve on top of a scoop of buckwheat. My fiance wanted the dish to be sweeter. 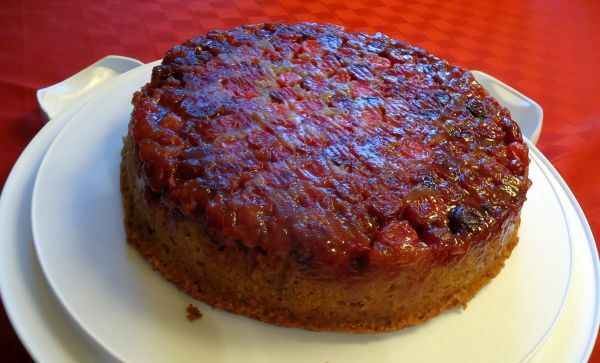 If you agree, feel free to add a few handfuls of golden raisins at the same time you add the cherries. Personally I like it better without, but to each their own! Heidi Swanson over at 101 Cookbooks always has great recipes, but her recipe for Feisty Green Beans ranks as one of the best things I have ever tasted. Period. Between the crisp freshness of the still-slightly-raw green beans to the pops of sweetness from the raisins to the aromatic mixture of Indian-style spices, everything about this dish works perfectly together. I’m so happy I have leftovers! And if there are green beans again at the farmer’s market the next time I go, I’ll definitely be making this again! 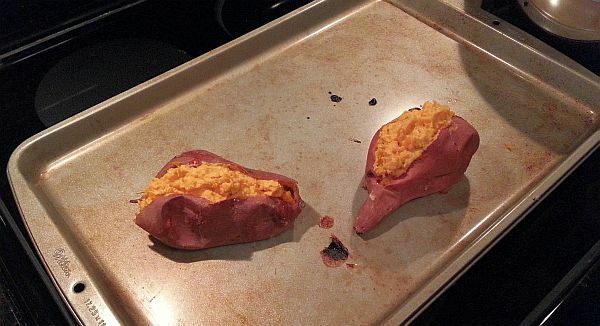 I came across this recipe while trying to figure out what to with the pound of beans I had sitting in my fridge. I wanted to make something more inspired than just beans sauteed with a little butter and basil, which was all that was coming to mind for me. I also didn’t want to have to go to the grocery store, because I’m trying to stop spending so much on groceries by cooking with things I already have in the pantry. So I looked around for different recipes and found a few that sounded like they had potential, but nothing that would work as a main course, and nothing that I had all the ingredients for. Until I found the Feisty Green Beans. 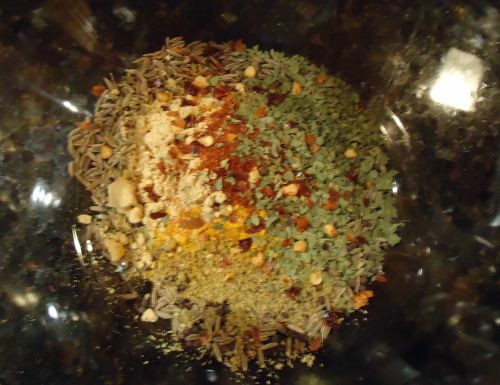 Don’t be intimidated by the long ingredient list–most of the ingredients are spices which you probably have on hand. (Especially if you ever make Indian food). 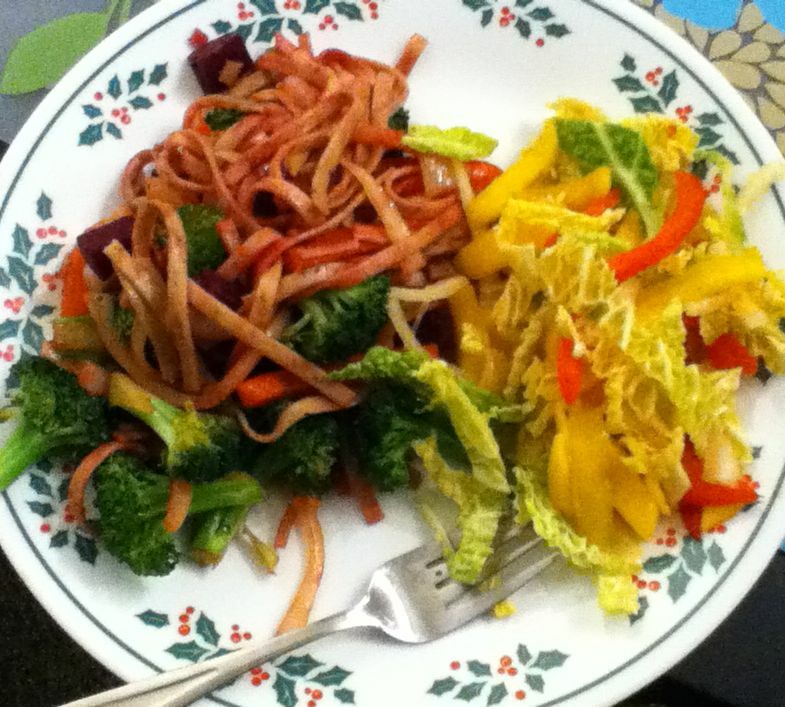 I did end up substituting paneer for the tofu because a) I didn’t have any tofu and b) I really don’t like tofu. The paneer works out really well in this dish though, so I’m really glad I used it. 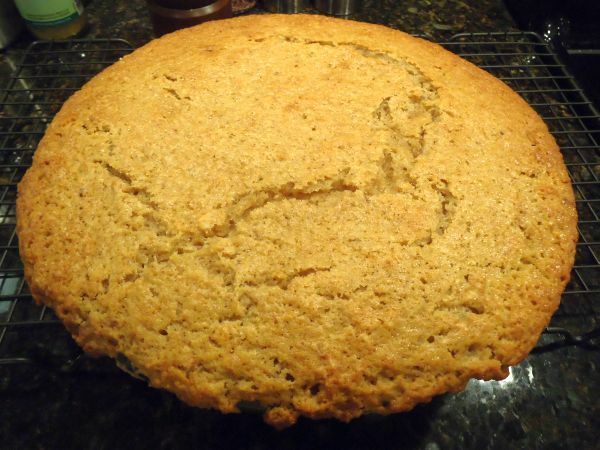 It adds a bit of a salty flavor which contrasts nicely with the raisins and spices. You could also probably substitute queso blanco for the tofu if you can’t find paneer, but I personally find that queso blanco doesn’t have quite as nice a texture as paneer. So the next time you’re at the farmer’s market, get yourself a pound of green beans and make this recipe! You’ll be sooo happy you did!